To read Michaels post click the screenshot. Is it a bug or is it designed to be a feature? 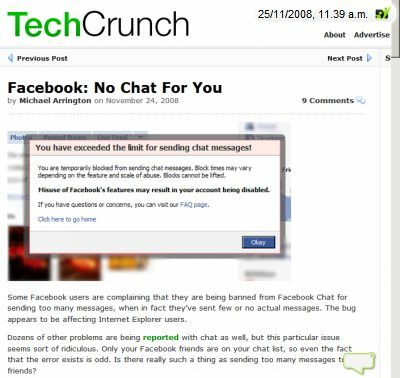 Some facebook users got messages from the system, that they had sent too many chat messages and therefor are not allowed to send any more. Michael Arrington is wondering about it in his techcrunch post.